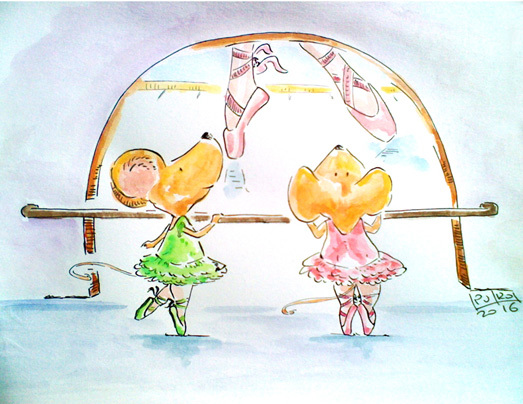 This month for "Scbwi draw this" the word was "Dance"
I love your little mousy ballerinas. Brava! Well done! I love the soft colors and the fun perspective. I'm not in the scbwi anymore. But the "draw this" challenge sounds like a good idea. Sweet illustration! Nice cute illustration of dancing mice. Love your use of watercolors.